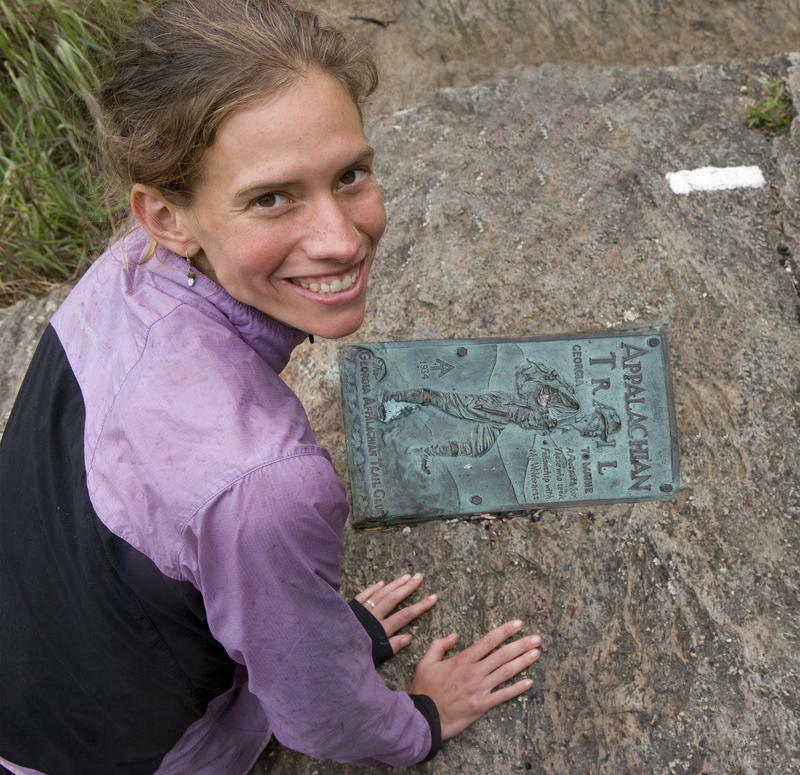 Jennifer Pharr Davis at the site of a plaque on the Appalachian Trail. 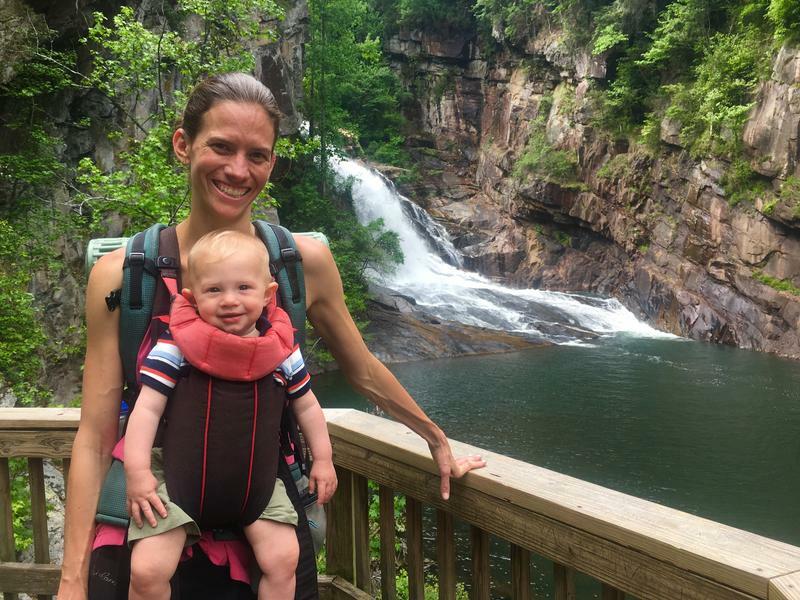 Jennifer Pharr Davis with her child on the AT. The Pursuit of Endurance book cover. 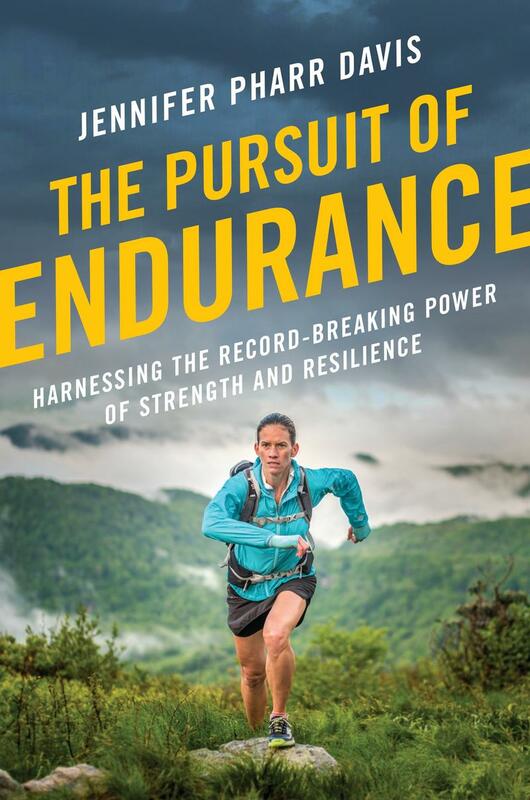 Davis has taken her record-setting milestone to inspire the average hiker and the average person to spend more time outdoors with her new book The Pursuit of Endurance. 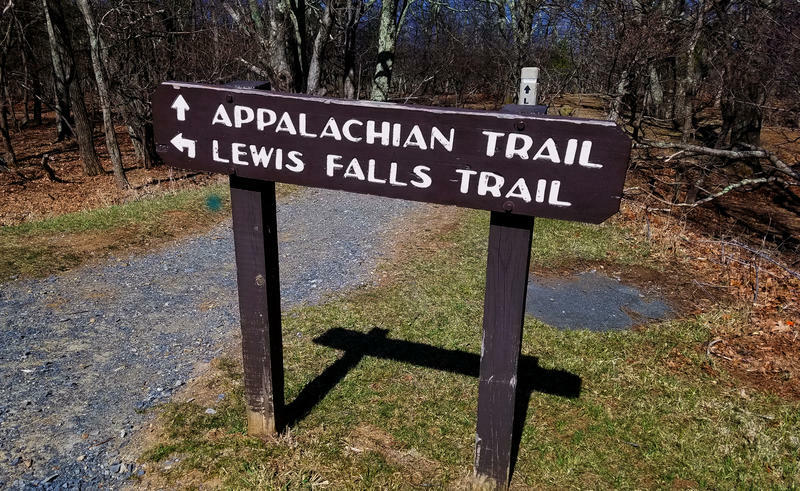 Davis recently spoke with Connecticut Public Radio’s Lucy Nalpathanchil about her record-breaking feat, the physical and mental obstacles she overcame, and why every person, regardless of their outdoor experience should get outdoors and go for a hike. After I graduated college, I needed time to figure out what to do. And I had a big desire to stay outdoors and use my body and it was hard to put that desire into words. For most of history, humans have been outside gathering and working in the field. I think a lot of us have a primal urge that says, don’t sit at a desk all day and then go a four-walled house. I felt like that at 21, and I still feel like that today. I think it’s a different type of adventure. I had done about 800-900 miles of traditional backpacking, I’ve hiked on different continents. Part of human nature is asking, what can I achieve? Some people are making new innovations, and some people are trying to find cures for diseases, and some people push their bodies to new limits. When you realize that the people who do this, who come from different backgrounds and average nearly 50 miles a day, you realize that the human body is a gift and it’s capable of so much more of what you do on a daily basis. It was relentless. I felt like I was pretty fit, but there’s a big difference between running a marathon or playing in a sports tournament, and then that night having a warm meal and going to sleep in a soft bed. The trail is day-in-and-day-out. [You have] blisters on your feet and sore muscles, cold rain, and you’re always away from your support network. I remember being 3 weeks in and 250 miles in, and I had seen a map of the trail, and it hardly seemed like I had left the beginning. After my first hike, I realized my life was very different. My values had changed. I valued simplicity, I valued quality relationships, and I embraced solitude. But the big kicker was, I got off the trail, I got a job, and it was a great job, but I would wake up and go to work every day. I showered and put on clean clothes, but I never felt as beautiful as I did as when I was on the trail. When I was out there, I was filthy: I was covered in scrapes, bruises, and bug bites. But I didn’t have a mirror. I didn’t have media telling me what I should look like. It got to a point where I felt like I belonged more outdoors, in nature then I did in an office. I averaged 47 miles a day for 46 days. There is a lot of misconception that when you’re setting a record, you run, but I didn’t run at all. If anything, it was crawling that got me to the end. You are constantly overcoming self-doubt and insecurity. It is an internal journey as it is an external journey. [Setting] the record offers something very special as an experience. This is an edited interview from the April 16, 2018 episode of Where We Live. Where We Live airs every Monday, Tuesday, Thursday, and Friday at 9:00 am and 7:00 pm. 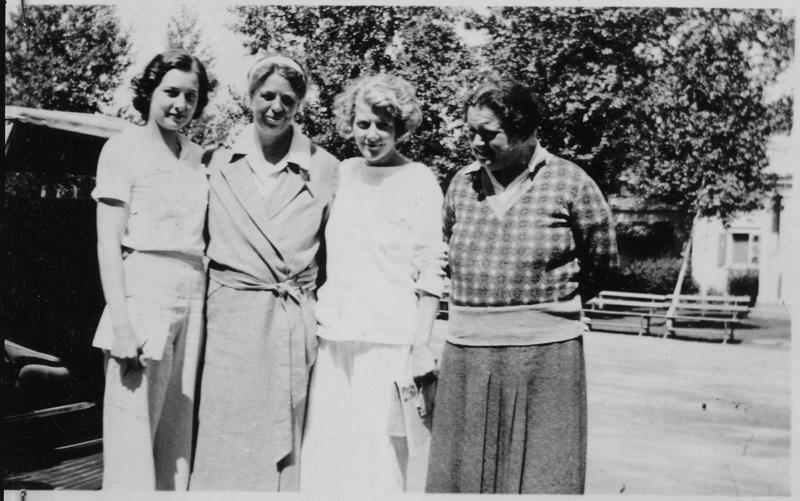 Eleanor Roosevelt was a woman with a huge historical footprint—First Lady, first U.S. delegate to the United Nations General Assembly. She was dubbed “The First Lady of the World” by Harry Truman. But how much is known about Eleanor’s personal life beyond the politics and activism? This hour, we sit down with Connecticut author Amy Bloom. Her new book, White Houses, is a fictional novel that explores Eleanor’s real-life romantic relationship with female journalist Lorena Hickok.